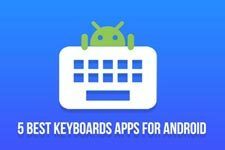 Swiftkey is one of the most popular (if not the most popular) keyboard app replacements around on Android and now on iOS too. So much so that it ended up being bought over by software giant Microsoft. 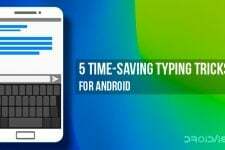 The keyboard app has many features under its belt to lure users and Microsoft’s backing makes sure it does not lack behind in the predictive game either. 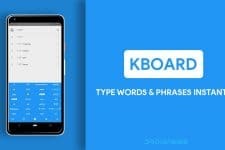 It uses a blend of artificial intelligence technologies to predict the next words a user might want to type. But even a keyboard app such as Swiftkey can seem a little lacking to some, and that’s understandable. If you’re one of those people too who end up wanting more out of your Swiftkey keyboard, you might want to give Exi for Swiftkey a try. 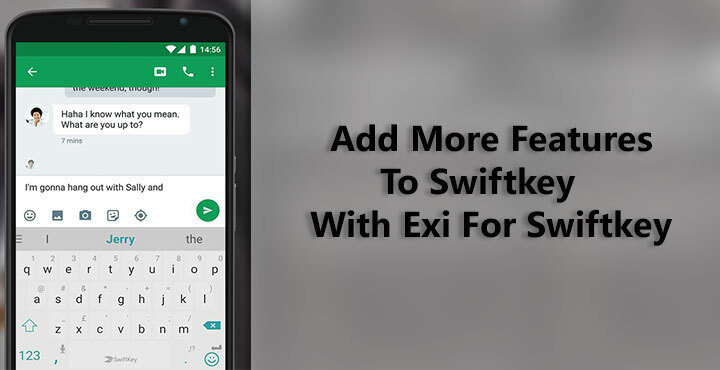 Exi for Swiftkey is an Xposed Module that adds numerous features to the keyboard app. In order for this to work, you will need a rooted device with Xposed Framework installed on it of course. This would mean Exi for Swiftkey would only work on Android 6.0.1 and lower Android versions, but that conclusion is now outdated. We finally have Xposed Framework ported on Android Nougat as well so if you haven’t installed it already, go ahead and give it a try. The module does not work as reliably on the unofficial Xposed framework port on Nougat though. For those who are running a version of Android older than nougat, you can learn how to install Xposed Framework by following this link. You can download Exi for Swiftkey from the Xposed repository. 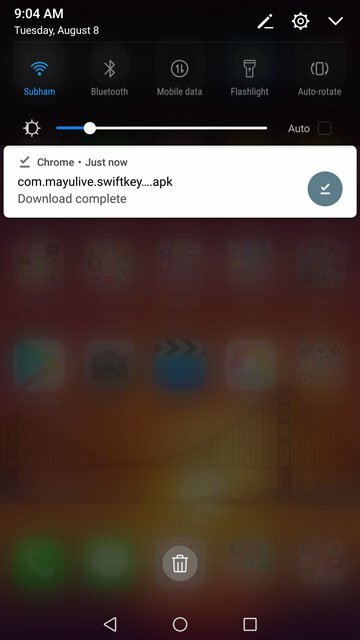 Once the apk is downloaded, tap on the download complete notification to install the apk. Alternatively, you can launch the Xposed Installer app and search for Exi for Swiftkey in the Download section to install it. 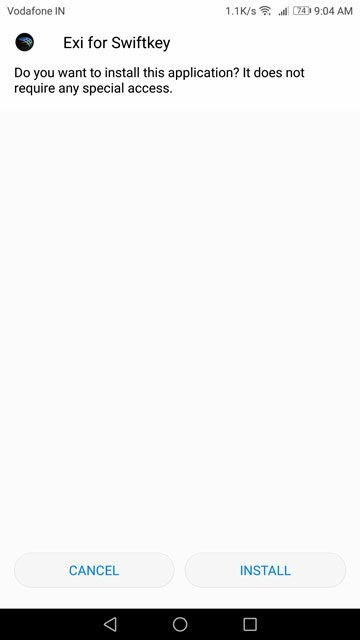 Regardless of whichever method you follow, once the module is installed you will see a notification letting you know so. Tap Activate & Reboot on the notification to activate the module and reboot your device. Exi for Swiftkey is compatible with the latest version of Swiftkey which as of now is 6.6.4.19. 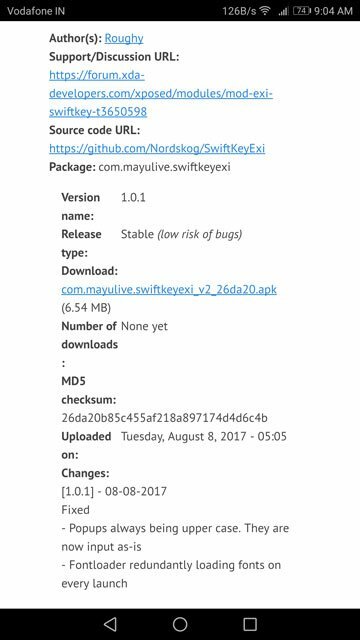 It also works with the beta version of Swiftkey (6.6.5.24) but since the beta version is more regularly updated, any module breaking update is more likely to arrive on the Swiftkey beta app first. You might want to disable auto updates to Swiftkey beta or switch to the stable version of Swiftkey instead if you plan to use the module. Even so, you should also keep an eye out for updates to the module since Xposed Installer does not automatically update the module while Swiftkey will be updated by the Play Store. It supports Android 4.4 KitKat to Android 6.0 Marshmallow and Android 7.0+ Nougat through the unofficial Xposed framework port. The developer suggests though that users on Android Nougat should wait for the official Xposed Framework port instead since the module can not work reliably on the available unofficial port.